Our Locksmiths Saggart are 24hr, 7 days a week on call emergency locksmiths. We provide a rapid response to calls (dispatched in 15min), this will stop any unnecessary waiting time. When you need the services of a locksmith in Saggart we are your trusted local service. Being locked out of your car or home can cause a lot of inconveniences, especially if it occurs at the end of the day when you are tired or at night. Fortunately enough, our locksmith Saggart Dublin offers 24/7 home and auto services; we offer rapid response to all calls in Dublin in all areas. Upon getting your call, they will show up within 20 minutes ready to rescue you from any auto locksmith issue. 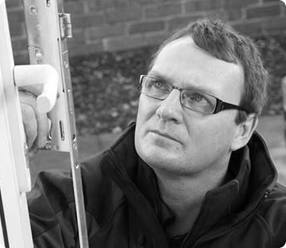 Quick Response – Saggart locksmiths are available 24/7 to respond swiftly to emergencies. You are assured that you won’t get stuck with your car lock and key issues or unsafe areas at weird hours waiting for professional to fix lock and key issues. Fast and efficient services – locksmith Saggart will fix most of the lock and key issues on the spot. We will provide a quality service fast. Barry from Locksmiths 365 Saggart came to the rescue! I had locked myself out of my house by mistake. Lucky I had my phone on me. With a quick Google search I had found Locksmith 365 and they had my door open within 30 minutes. Phew! Close one. Cheers Barry!